He’s an obvious choice, really. 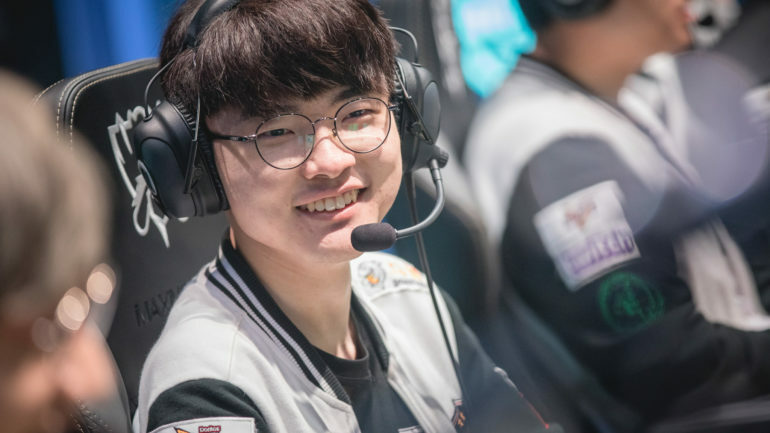 SK Telecom T1’s superstar mid laner Sang-hyeok “Faker” Lee, one of the most recognised esports players in the world, has been named in this year’s Forbes 30 under 30 Asian list for the first time. He is the only esports player to feature on the list of athletes, singers, and other professions. Last year, however, Team Liquid’s Yiliang “Doublelift” Peng and popular Fortnite streamer Tyler “Ninja” Blevins were named to Forbes’ 30 under 30 list for celebrities. Other notable names on the list included the no. 1 ranked women’s tennis player, Naomi Osaka, and Chinese film director Bu Gan. Considered one of the best players to grace the game, Faker has become a household name in esports after winning countless titles in the League of Legends scene since his professional debut in February 2013. Along with the three World Championship titles he h’s won, Faker has also won two Mid-Season Invitation trophies, multiple LCK regional titles, and a host of other awards under the SKT banner. He is also one of the highest paid pros in esports and has won the most prize money out of anyone in the League scene. His team, SK Telecom T1, are set to play in the LCK Spring playoffs in a couple of days to potentially add another trophy to Faker’s ever-growing cabinet.